The Millennium Campus Network (MCN) is a national non-profit network of university student organizations working to reduce extreme poverty and achieve the United Nations Millennium Development Goals. The organization provides networking, funding, and national campaign opportunities for existing student organizations. Since its founding in 2007, the MCN has expanded to count 37 member organizations across 17 campuses in Boston, Chicago, New York City, and Washington D.C. 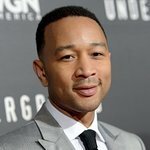 Leading advocates including Dr. Paul Farmer, Dr. Jeffrey Sachs, and musician John Legend serve on its Board of Advisors. Google trends for "Millennium Campus Network"